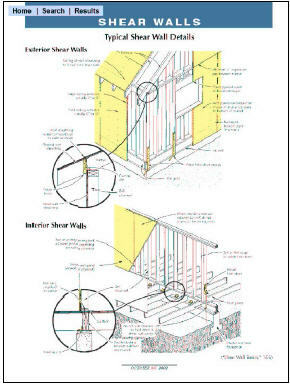 The Journal of Light Construction wished to access additional revenue streams by highlighting and extending the “reference” value of its editorial content. A leading trade magazine, THE JOURNAL OF LIGHT CONSTRUCTION is the only 100-percent-paid-subscription magazine read by remodeling and building pros nationwide. A monthly title, JLC has served residential and light-commercial builders, remodelers, designers, and other trade professionals since 1982. JLC is a characteristically “evergreen” publication. With some exceptions, an article from 1990 is just as likely to be relevant to the reader as an article from 2000. The detailed how-to wisdom and high-quality content has made the JLC a circulation-driven publication since the early days. Based on demand for back-issues and reprints, The Journal’s staff determined that there was substantial revenue potential in a complete, full-text searchable archive of their editorial content. In 1998, they turned to Document Solutions, Inc. to develop a CD-ROM that would eventually contain the entire body of JLC editorial content from 1986 through the present day. In 2001, JLC took the disc content online, embedding the archive in their website as a premium fee-for-access research tool. JLC instituted some creative marketing strategies designed to meet the broad range of their buyers, including one-year memberships, trial memberships, pay-per-view, CD-online bundles, CD only, or online only. Since 1998, Document Solutions, Inc. has managed the content conversion and CD-ROM development for each annual edition of the JLC disc. In 2002, DSI performed a complete redesign of the CD, adding complete topic-keyword indexes and browse functions as a key feature enhancement for the 6th annual edition. 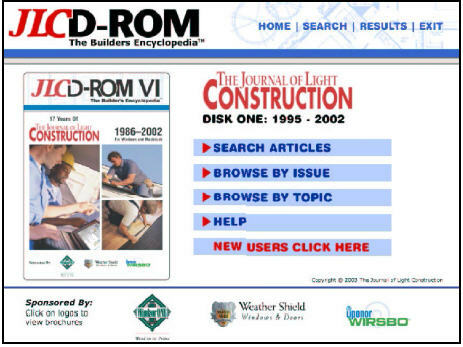 Both the JLC CD-ROM and the JLC Online sites now contain over 3,400 articles from 16 years of publication. Since day 1, sales have grown steadily through a mix of new customers and repeat buyers. Each new edition offered 2 additional years—going back one year earlier in time, plus all the issues from the year just ended. JLC used CD content files and databases provided by Document Solutions, Inc. to develop their JLC-Online membership-based resource in 2001. 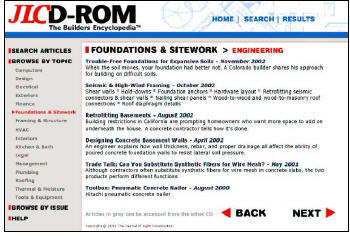 “The website and CD-ROM product are marketed together and complement each other. Two distinct channels (offline and online) were really needed to meet the changing demands of our readers and our community”, says Brad Bull, JLC’s Web and eCommerce Developer.